An enjoyable hiking area not far west of Rapid City is the Buzzards Roost Trail system. The new trail network opened in 2014, with most of the work being done and financed by a coalition of mountain bikers, hikers and trail runners. There are several routes one can choose to get to the final segment to the summit. Or, if you are not interested in hiking to the summit, but just doing a loop of trails, there are a number of individual trails, of varying grades, that you can link to create your own route. 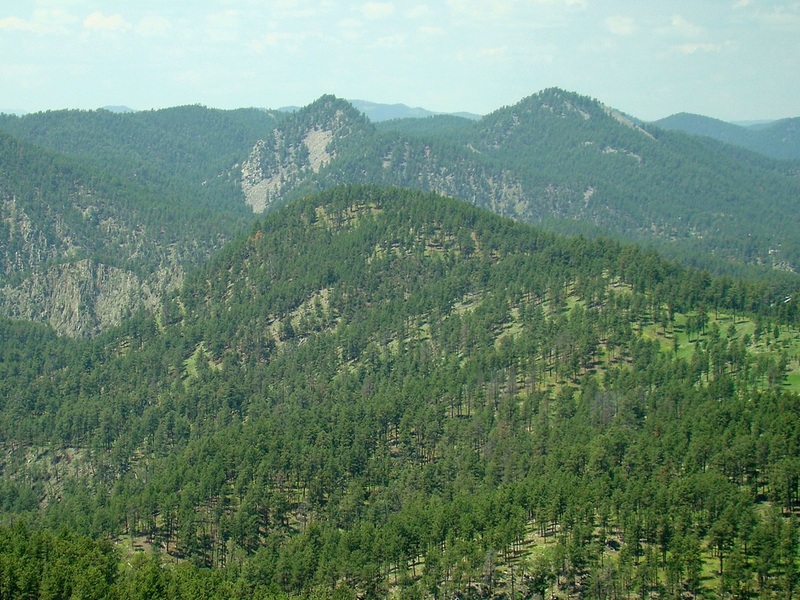 Those who do choose to hike to the summit are treated to some great views of the Dark Canyon of Rapid Creek, Black Elk Peak, Scruton Mountain, Boulder Hill, Thrall Mountain and Mount Wheaton. 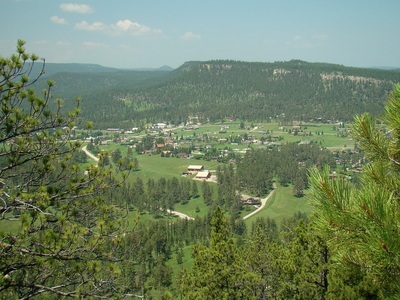 The small community of Hisega lies immediately to the west in the valley. It is reported there is a summit logbook to sign, but we are not sure where it is located. 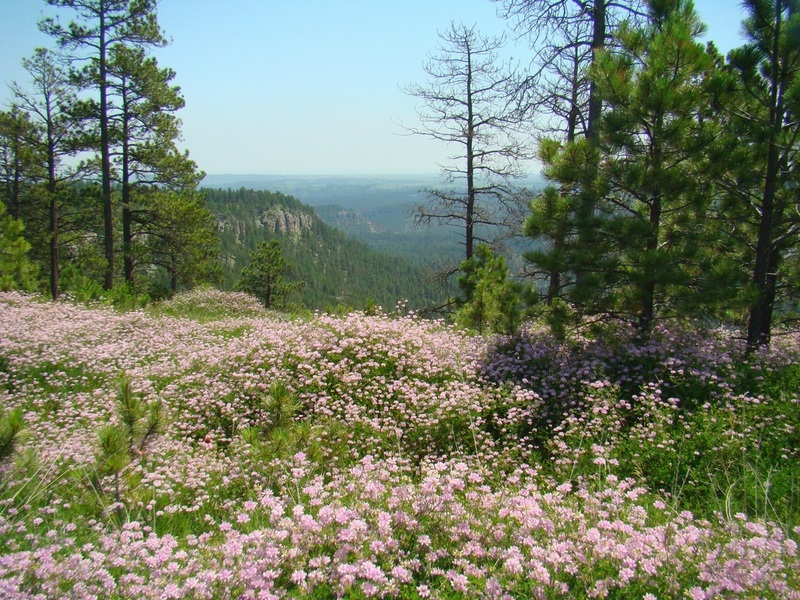 Wildflowers are everywhere on the summit, during spring and summer months. 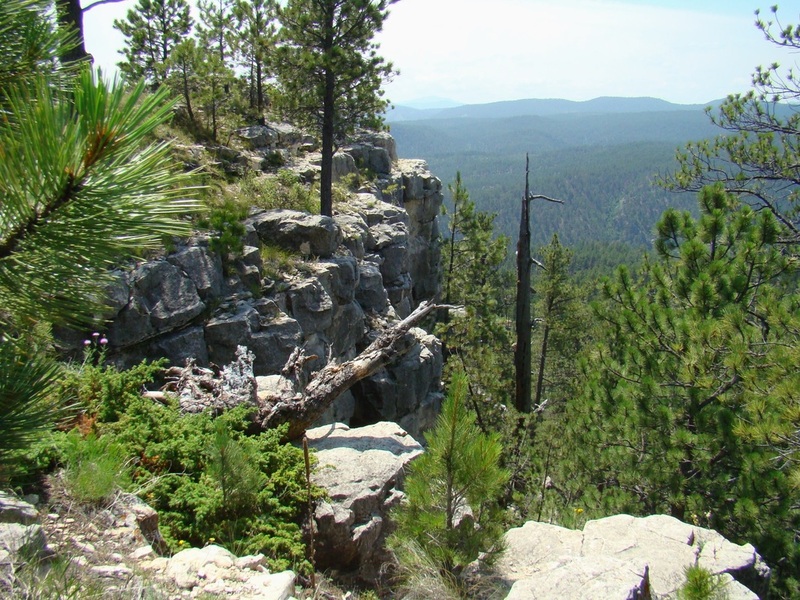 Even though there is over 600 feet of altitude gain over the 1-mile route to the summit, the grade is steady enough that the hike should only be rated moderate. 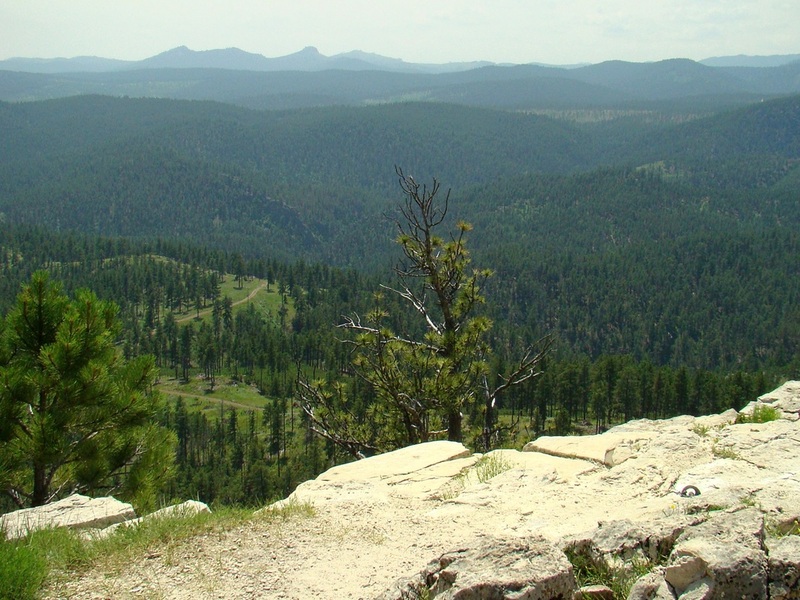 Black Hills Trails.org has a map that gives a general layout of the trails on Buzzards Roost. You can access that by clicking here: Black Hills Trails.org. 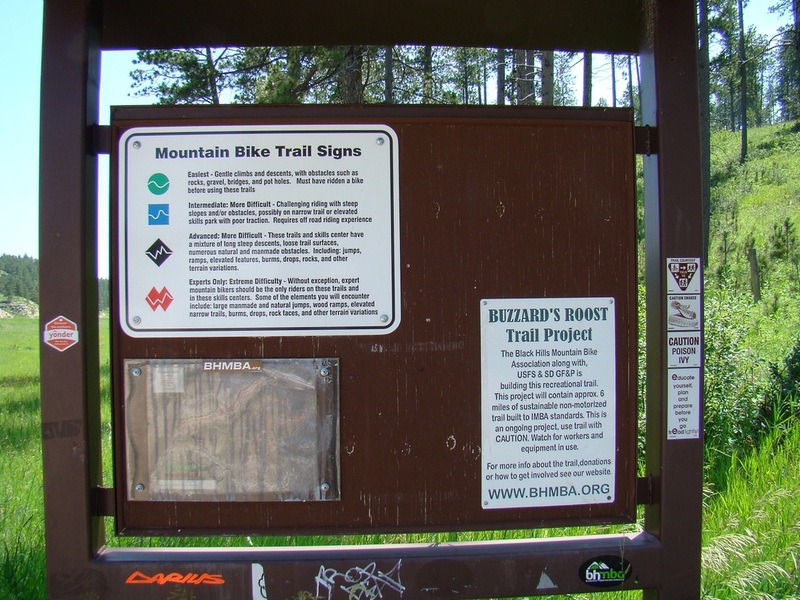 Also, the Black Hills Mountain Bikers also provide a downloadable map by clicking here: Buzzards Roost Trail Map. The shortest route to the summit, is to follow the most well-worn path, marked as the “Jacks Trail”, which is an old two-track road. 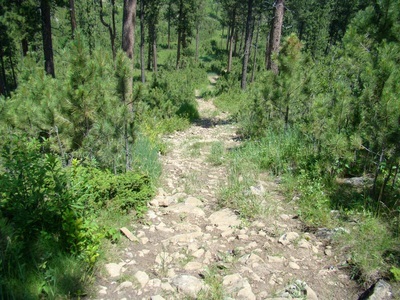 The trail will eventually turn into a single track. 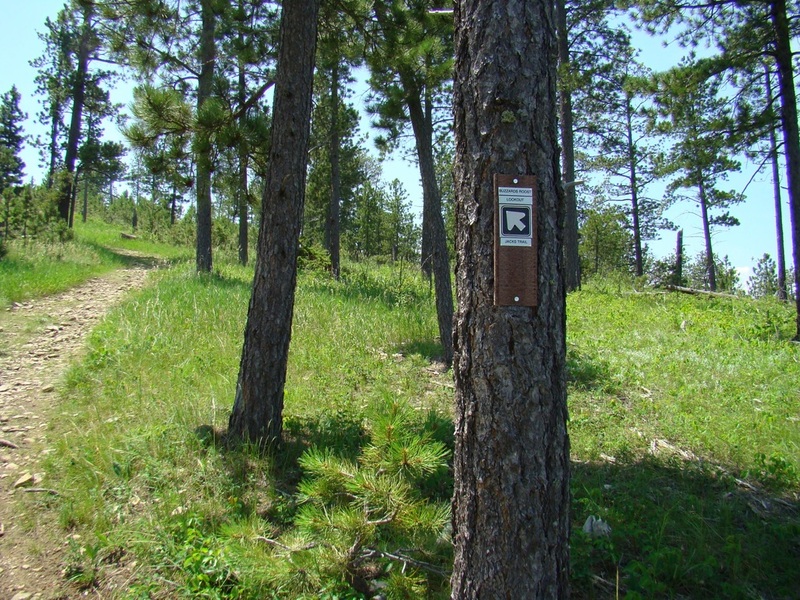 A junction with another 2-track trail will take you west to the final trail junction, where a single track trail will take you south to the summit. The trailhead for Buzzards Roost is just 5 miles west of Rapid City on Highway 44, or 8.9 miles east of Highway 385. There is a large sign board at the trailhead with a map of the trails. Please be watching for rattlesnakes. Signs there will remind you. Wearing orange during hunting seasons is a good idea. 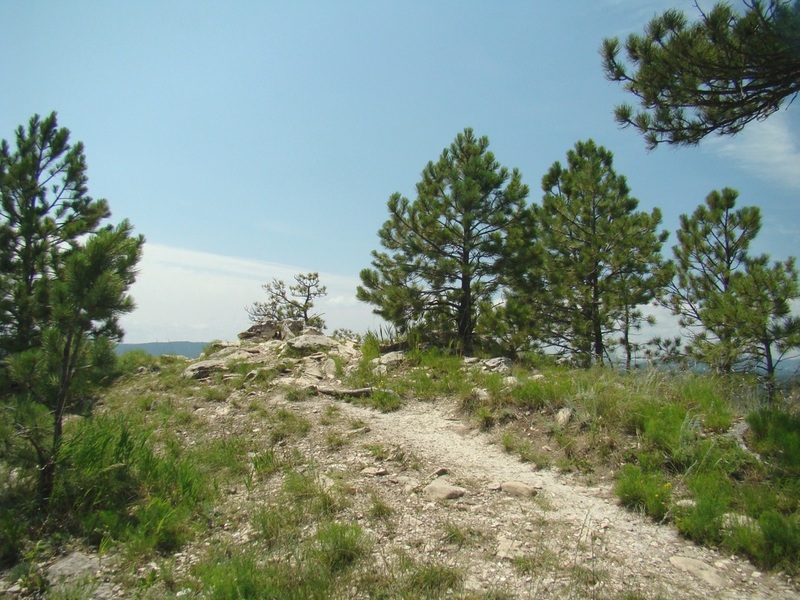 Since this is a popular hiking area with Rapid City residents, you will normally see other hikers, along with mountain bikers and trail runners. This is maybe the roughest section of the trail. Looking southeast from the summit. 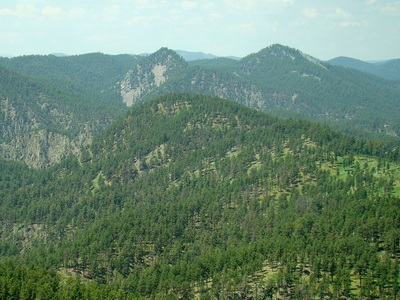 The upper part of Dark Canyon is in the foreground. 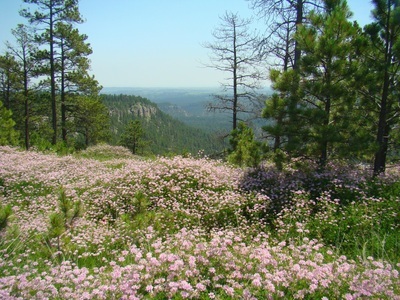 Wildflowers are in abundance in the summit area.